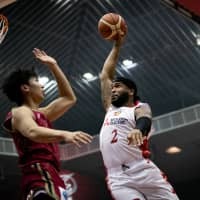 Three sets of numbers jump out at you from Friday night’s Kawasaki Brave Thunders-Nagoya Diamond Dolphins game at Todoroki Arena: turnovers, points in the paint and 3-point shooting. The visiting Diamond Dolphins had fewer turnovers and a big advantage in inside scoring in a 79-75 series-opening victory. Nagoya (14-10), the West Division’s second-place team, never trailed and led by as many as 21 points. The Diamond Dolphins dished out 22 assists and limited their turnovers to seven. At the same time, they forced 16 takeaways. 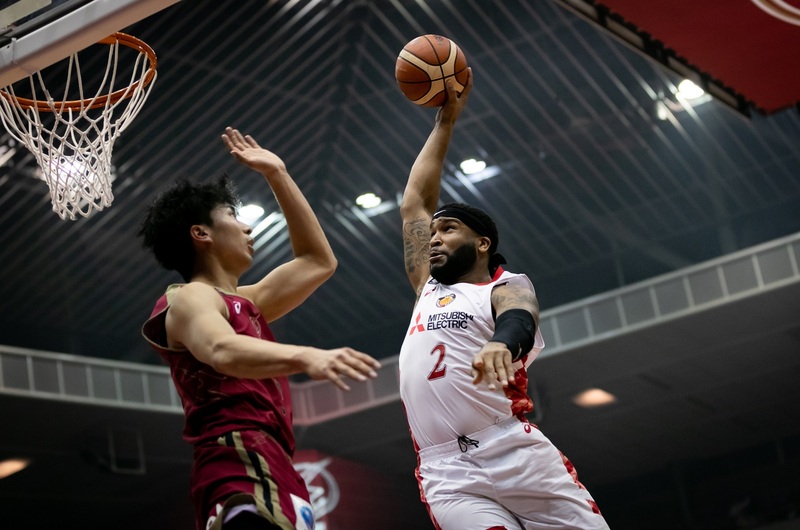 The visitors outscored Kawasaki 46-32 in the paint at Todoroki Arena. Nagoya sank 11 of 27 3s and held the hosts to 3-for-11 long-range shooting. Nagoya’s Markeith Cummings, who scored eight of his team-high 17 points in the first quarter, made four steals. Teammates Shuto Ando and Taito Nakahigashi each had 14 points, Craig Brackins added 11 and Takaya Sasayama finished with 10 and three steals. Star forward Justin Burrell didn’t play. Brackins pulled down a team-best 10 rebounds. Kawasaki, the Central Division’s second-place team, trailed 23-13 after the opening quarter and 45-28 at halftime. The Brave Thunders (15-9), who played without star forward Nick Fazekas, trimmed the lead to 60-57 entering the fourth quarter. Vernon Macklin, a University of Florida product, paced Kawasaki with 34 points and 18 rebounds. Yuma Fujii had 19 points and Shane Edwards scored 10.